"The Public's uncluttered production boasts set design by David M. Barber and Lighting by Peter West that pull in the big Broadway staging for an intimate experience of very intimate goings-on." 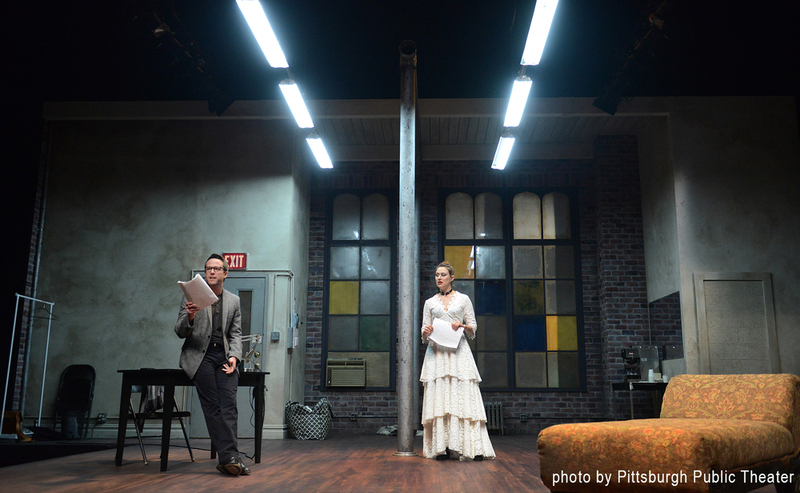 "Scenic Designer David M. Barber places them in a gritty New York rehearsal space with flourishes of urban beauty. Barber proves that grim and gritty has it's own particular elegance."